If you have been following my journey over the past years you will be well aware that I am passionate about creating learning experiences for my students that unleash their creativity and curiosity. I believe these key elements empower students to take ownership of their learning by constructing meaning and understanding of our units of work. I am excited to be moving into a new part time role at my school as Leader of Curriculum & Innovation next term. This will allow me to have a greater impact with the teachers and students at my school as I work closely with them to design learning experiences that empower their creativity and curiosity. This part time role, means that I am now more available to work with other schools and teachers to support their professional development. 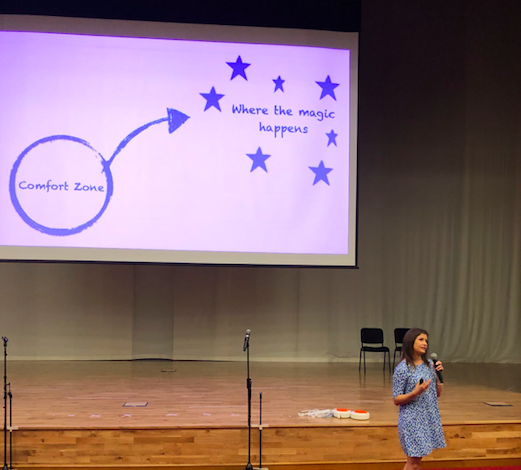 In the past year, I have been privileged by the opportunity to facilitate keynote presentations and professional learning workshops across Australia, USA, UK, Sweden, Amsterdam, and Dubai. My passion for creating purposeful learning experiences for students, will encourage your teachers to redesign their practice. Through tailored workshops, teachers will be inspired by how creative lesson design empowers student learning across the curriculum. If you would like support with unleashing creativity & curiosity with your teachers and students, please reach out to discuss how I can tailor a professional learning experience for your specific requirements.